Busy weekend! Saturday was Tabletop Day, so we had friends over for gaming. We started out with Cards Against Humanity, then played a few rounds of the Superfight starter that came with LootCrate, and after the break we settled down with dice and paper for The Strange using Fate Accelerated mechanics. The setting for The Strange is already fresh on my mind, because I’m currently reading Ready Player One. In the book, a large virtual reality universe, more popular than facebook, contains numerous planets designed after just about every game, story and setting. In The Strange, we exist in a multiverse, and humans are a special race that can spawn alternate realities through the power of creativity and popular appeal. Imagine every fandom with any sort of following having its own space in the multiverse. We played a five-hour session with the variant rules, and the next day I bought the core book. This has been a month of special deliveries. Friday, I had a new sewing machine delivered to the apartment. I haven’t used one since 7th grade, but there are so many things I’d love to be able to make for myself. I decided to get some practice by making a skirt from a pair of pillowcases. It’s definitely going to take some practice, but it gave me a chance to test out the machine. Also this weekend, I received a copy of Nowhere to Hide by Tracey Lynn Tobin. Check out her blog No Page Left Blank. I’m trying to hurry and finish Ready Player One, because I want to start on her zombie book like-right-the-eff-now. I’m also excitedly awaiting an international package. 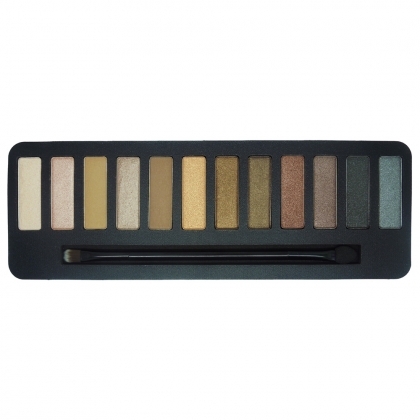 I was happy to learn that a UK company called W7 makes exact dupes of Urban Decay Naked palettes at a fraction of the cost. I ordered the Lightly Toasted palette which matches Naked. At the end of this week, I go in for new glasses and next weekend is a much-needed girl’s night. It’s turning out to be a very exciting month. I’m relieved I didn’t attempt Camp NaNoWriMo. Last year, I had to cut my goal in half due to real-life drama. I just don’t think it’s fair to find out a family member is in jail on April Fools’ Day. As always, I’ll be posting my ipsy bag just as soon as it arrives.